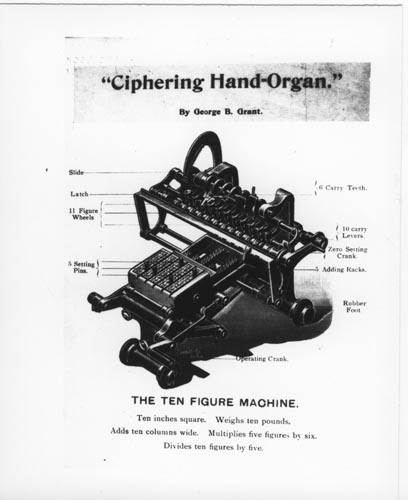 B&W image of a "Ciphering Hand-Organ by George B. Grant. Labels point out the slide, latch,6 carry teeth, 10 carry levers, etc. Label bottom - " The Ten Figure machine ten inches square Weight 1o pounds Adds ten columns wide Multiplies five figures by 6 Divides 10 figures by 5."